Low water pressure at office building. 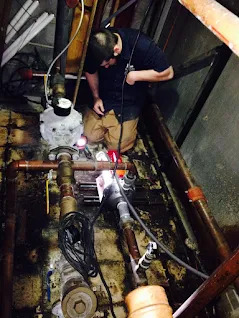 Recently we were called in to make a repair on a domestic water distribution psi booster pump. 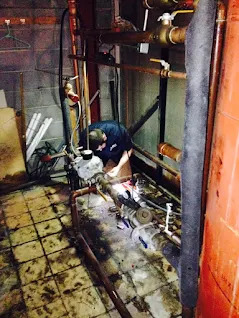 The pump motor had burnt out, and was replaced. But it was interesting to hear the story from the building engineer, of how the booster pump was installed in the first place. 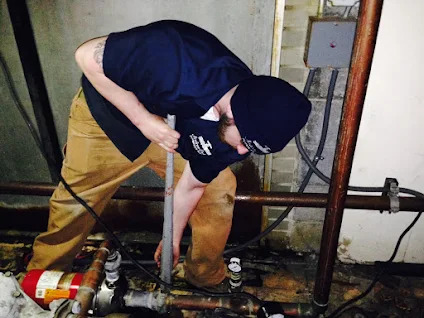 Long before our firm, www.etchencommercialplumbing.com, was called for service, another contractor came up with this solution for low water psi at this four floor office building. Apparently the city water pressure was not able to properly service this building. 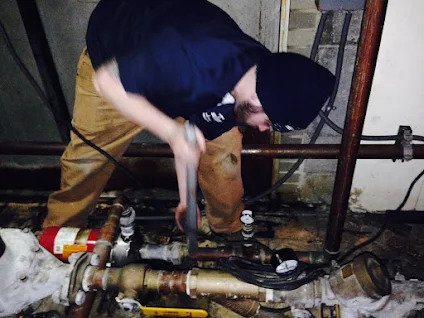 Now, in the beginning, plumbing and mechanical engineers size up all the factors that determine pipe size in order to deliver sustained pressure and volume to a potential maximum flow situation. If we assume that their calculations were accurate, then where to begin to find the solution. 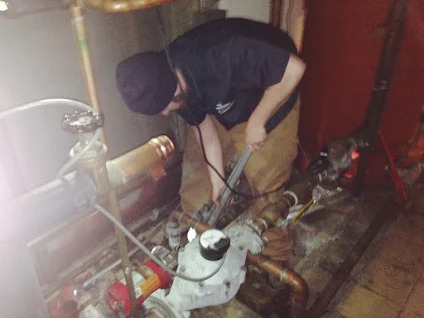 So search goes through out the mechanical room, into the ceilings of each floor, checking the usual culprits, clogged wye strainers and broken gate valves. Since everything checked out, then it was given thought that the 2" copper water service was perhaps pinched, which would be possible, not by the plumbers themselves that installed everything originally, but perhaps a cement contractor unknowingly with heavy equipment caused this equipment to become pinched. So if that is the case, then good luck trying to find and fix that! 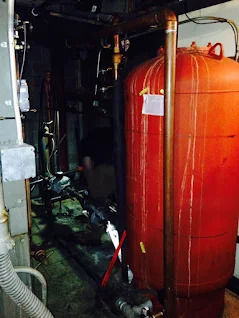 The booster pump solution was deployed, pumping water into a 250 gallon pressure tank with a pressure switch. 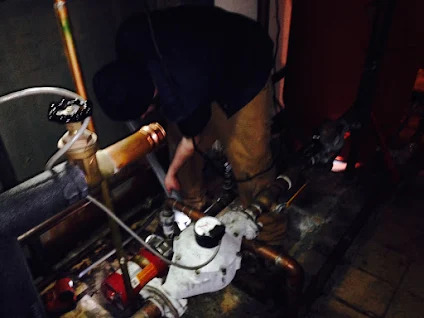 But anything mechanical is going to require service and maintenance from time to time. 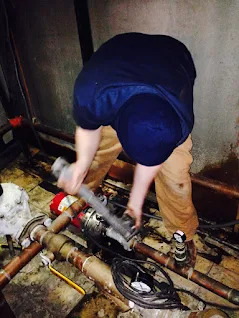 Below is some action shots of one of our plumbers disassembling the 2" meter piping and unions to extract the booster pump and put in a new one.